Although we were fans of db Bistro Moderne, it wasn’t food we could eat every day (unless we wanted to spend all our remaining free time at the gym). Boulud Sud swaps the richness of its predecessor’s fare for lighter options that are just as flavorful — if not more. Starters like the Mezze (spicy Moroccan hummus, herb falafel, babaganoush) and the “Horiatiki” Classic Greek Salad are dangerous; before we knew it, we had already left both plates completely clean. Either is ideal for kicking off your meal, although we also suggest you complement them with the Shortrib Barbajuans — fantastic fritter-esque bites with Swiss chard, cracked pepper and Parmesan. 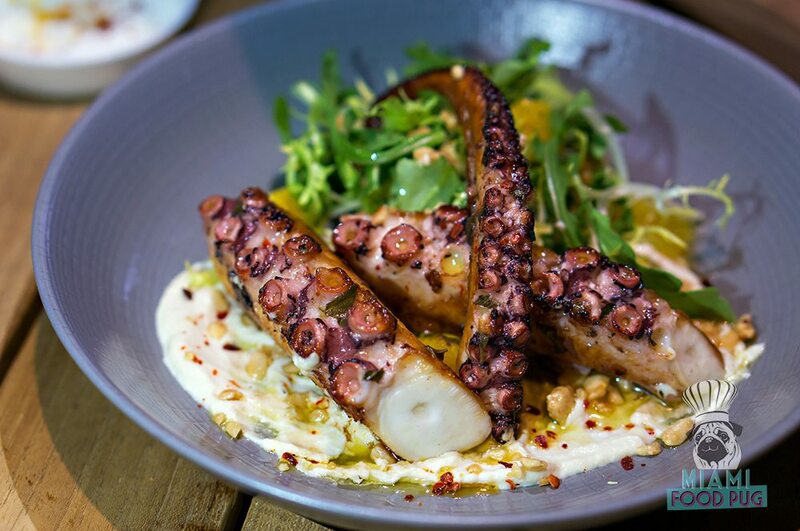 Octopus is a common sight on many Mediterranean menus, and you’ll find it here at Boulud Sud as well. The restaurant’s Octopus a la Plancha is a cut above the rest, however: It’s simple — just arugula, almond and Jerez vinegar — and that’s all it needs to impress you so much that you’ll be thinking about it well after the meal. Proteins are another place where Boulud Sud excels. Given the eatery’s Mediterranean roots, we expected our Seared Branzino to be the evening’s standout. And while it certainly was a standout, the Catalan Grilled Skirt Steak with broccoli rabe was equally memorable. Patrons not in the mood for meat or fish can also choose from a few pastas, including a delicious Orecchiete with lamb ragu, and then finish their meal with one of several decadent desserts such as the Grapefruit Givre. The loss of db Bistro Moderne hit the neighborhood hard, but Boulud Sud is already making it a distant memory. The food may be different, but you can still expect the same great quality. In fact, it’s even better. Boulud Sud is located inside the JW Marriott Marquis Miami at 255 Biscayne Boulevard Way in Downtown. 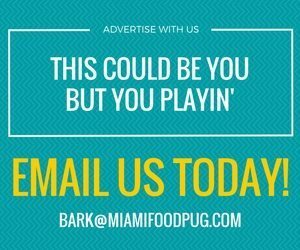 For hours of operation and other information, visit their official website or call 305-421-8800.